A high protein dip perfect for getting your protein in while snacking. 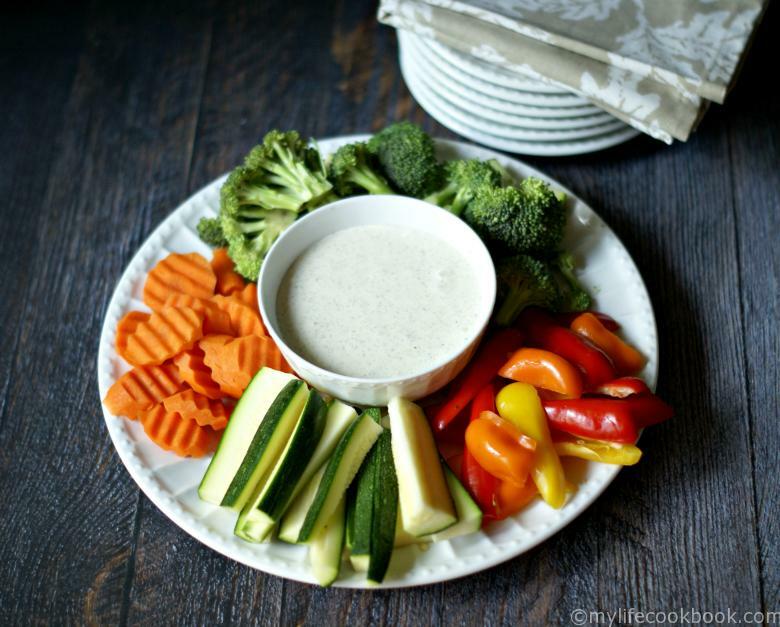 It only uses 2 ingredients to make a tasty high protein veggie dip that is low in carbs too. For 2 tablespoons only 1.9g net carbs and 3.5g protein! I love veggies and dip. I’ve been known to eat them for lunch sometimes, especially if I’m on the go and don’t want to order fast food. Regardless for my reasons, I thought it would be nice if there was a high protein dip for veggies on those days I don’t have time for a proper lunch. Then I remembered that cottage cheese is packed with protein and I decided to use it for a base for my dip. It worked great! Since this was an experiment, I decide to just mix in my sister’s Ranch Mix instead of inventing something different. I added 3 Tablespoons of her mix to 2 cups of cottage cheese and blended it on high in my Vitamix. The result was a thick and creamy, delicious dip! I know some people do not like cottage cheese but I personally love it and surprisingly my son does too. I think it’s all those curds that turn people off but when you blend it, it just becomes a smooth and thick cream. A perfect base for a dip. So if you are trying to get more natural protein in your diet, and don’t like the consistency of cottage cheese, try this easy veggie dip. You can use any herbs and spices you like. 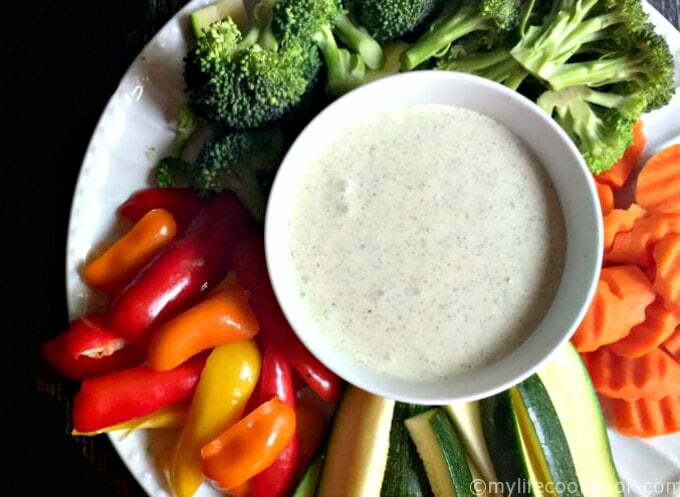 Just blend on high and you’ll have a thick, creamy, high protein dip! Approximate nutrition: 2 Tablespoons = 33 cals / 1.3g fat / 1.9g carbs / 3.5 g protein. Hi Denise! I love how simple and healthy your recipe is and will be featuring it on Savoring Saturdays this week! Thanks so much for linking up! I love cottage cheese and while I love this idea it would take away from the texture which I love. 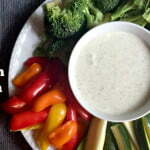 Great post come share on Real Food Fridays, followed you here from the Weekend re-Treat party. I too like the texture but it was easier to dip when it’s smooth. Sometimes I eat cottage cheese just mixed with a bunch of veggies or a bunch of herbs and spices or both. Yum! Great minds think alike. I used cottage cheese in my high protein pancakes I posted today. I too will happily have veggies and dip instead of a meal, and I love cottage cheese, so this sounds perfect for me! Yay! I fellow veggie lover!